This storm has had a LOT of chatter online... 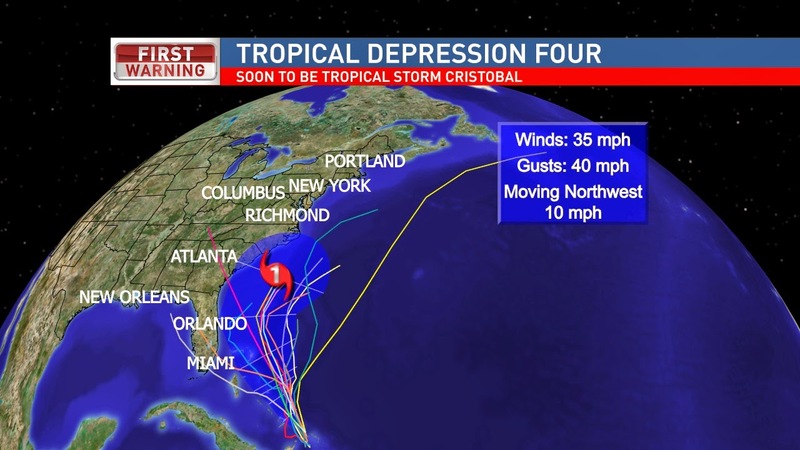 It has finally developed into a Tropical Depression and soon to be Tropical Storm Cristobal. The storm is still developing, so you can see how the models are not quite agreeing on where it is going to go. Could impact a lot of the East Coast over the coming week and a half. Have a good one!